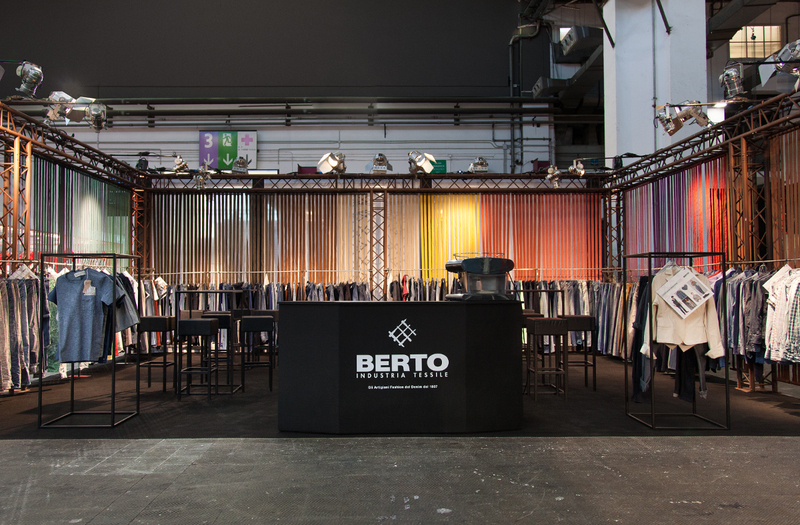 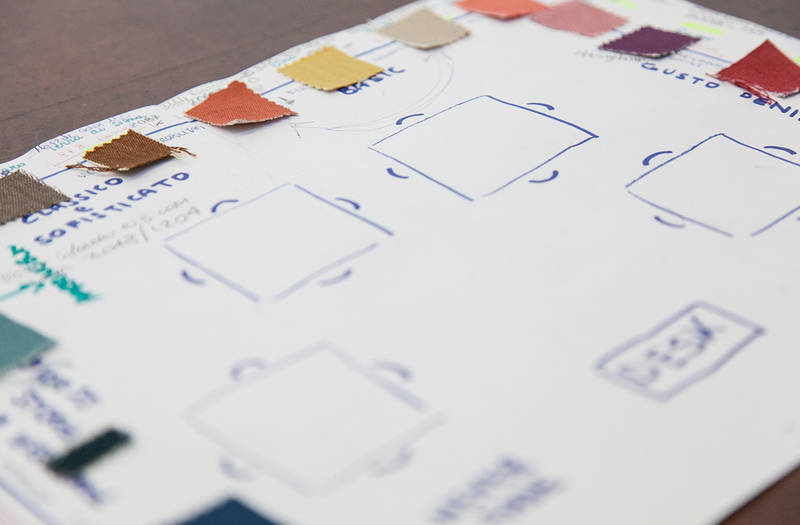 Berto Industria Tessile is an italian company specialized in the production of high quality fabrics since 1887. 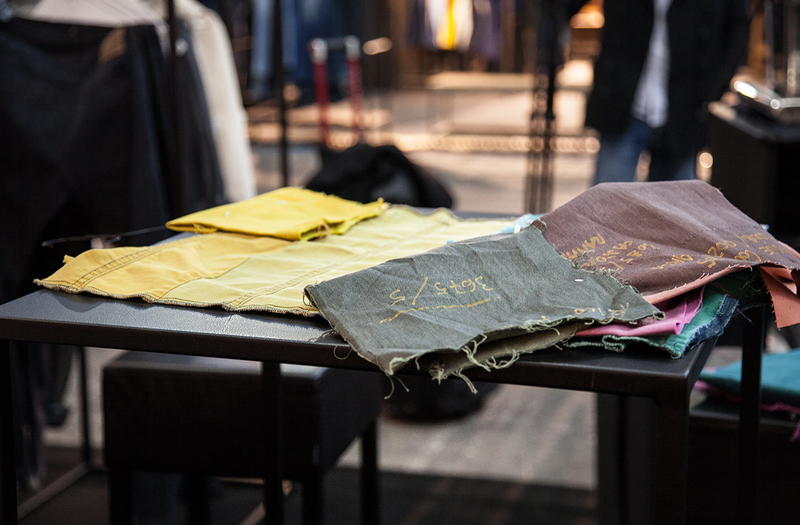 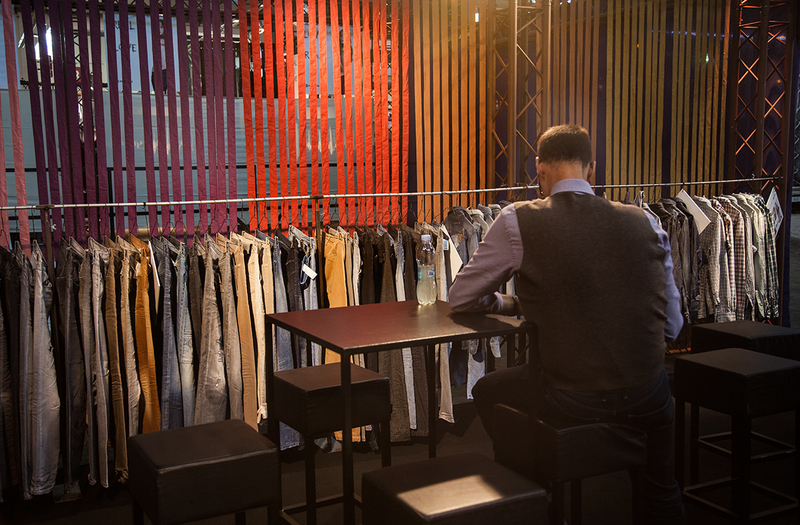 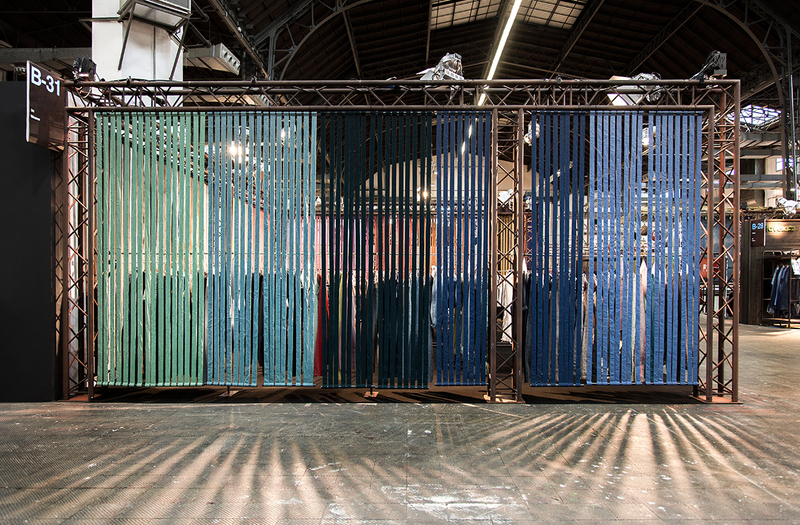 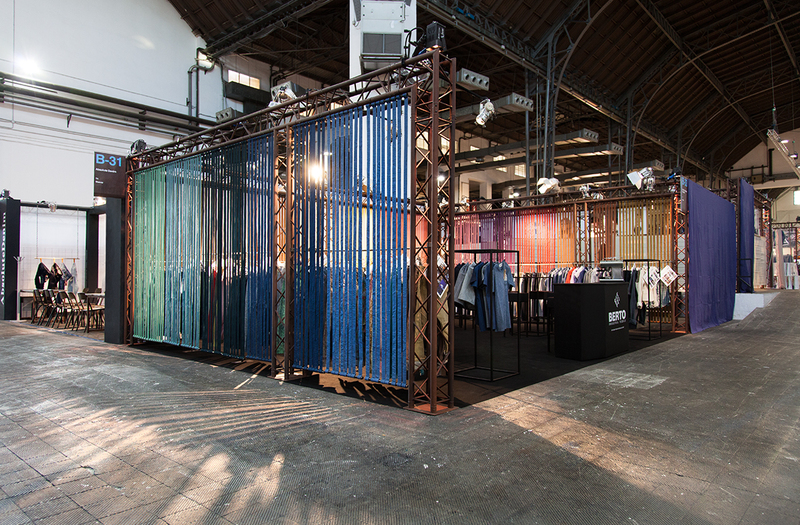 The company offers a wide range of products with various weights, colors and finishes, and even this year, at Denim Premiere Vision in Barcelona Fair had more than 200 products to be displayed. 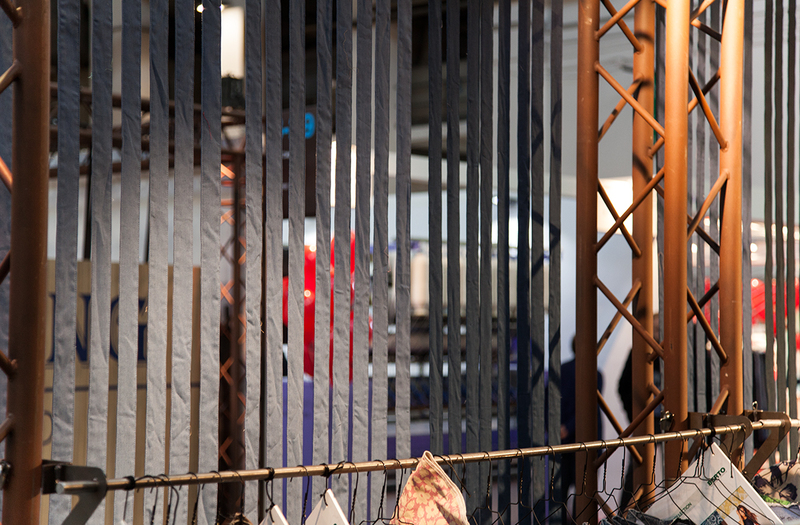 The fil rouge of the SS 2016 collection was inspired by the four natural elements. 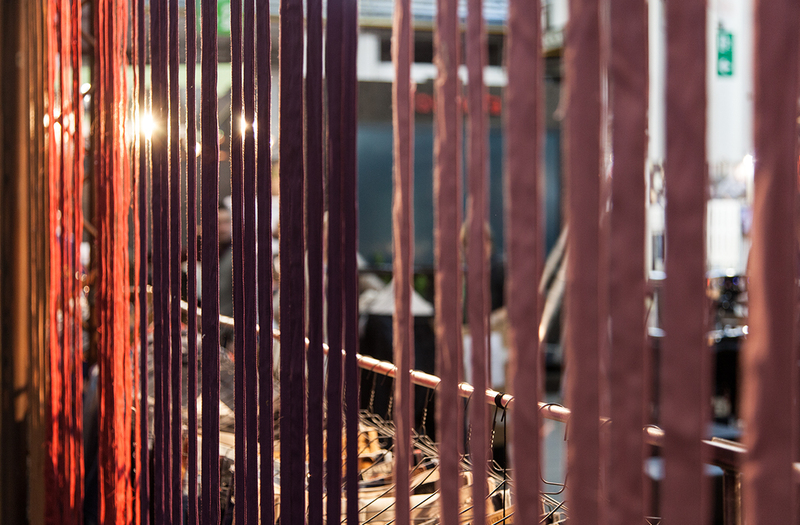 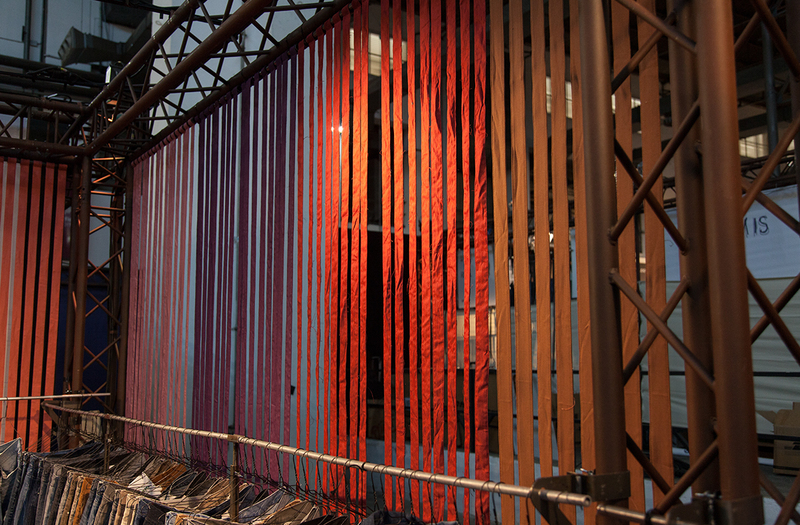 The idea of the project was to create a graduated shade made with the different elements which fabrics represent. 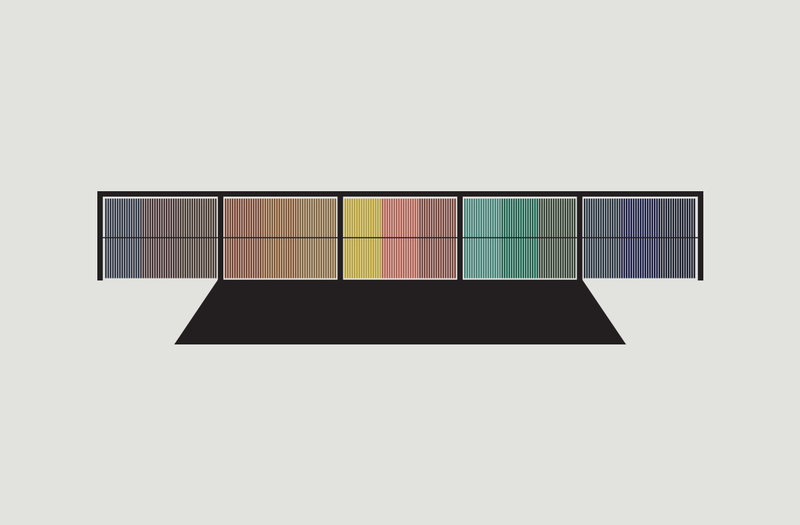 Looking at the horizon, we can recognize the color of the ocean, the sand, the sunset, pink clouds, tropical plants and the blue sky. 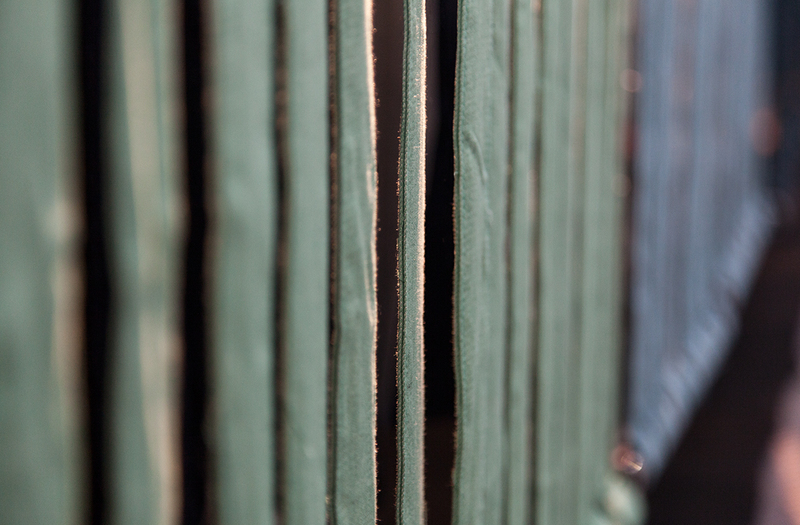 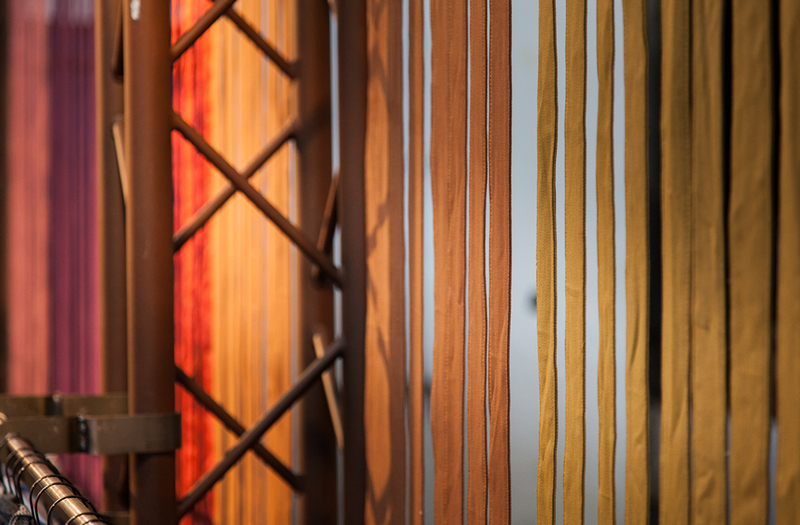 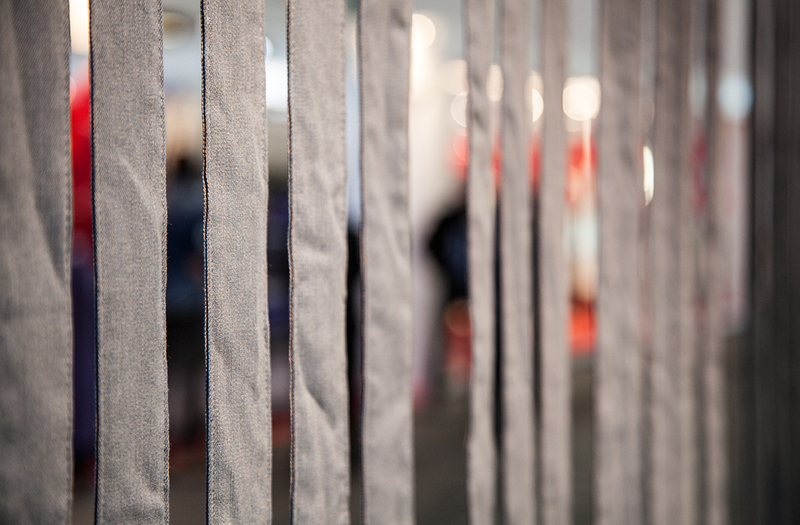 The concept of the exhibition starts with the analysis of the product, made with looms, so we have designed curtains made with 272 different coloured bands in order to give to the project a contemporary, minimalistic and sophisticated feel but at the same time elegant, light and dynamic. 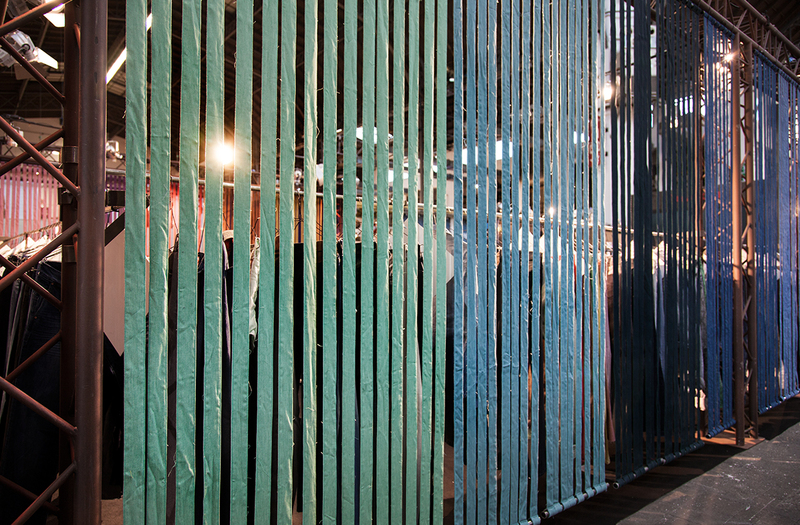 The Spectrum has a strong visual impact, it contrasts the dark tones chosen for the light and wireframe furnishings and catalyze the visitor’s eyes.